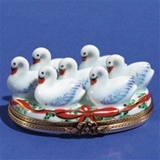 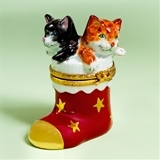 New Limoges Christmas Boxes have arrived at The Cottage Shop! 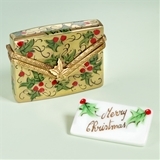 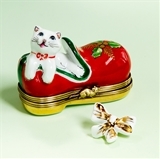 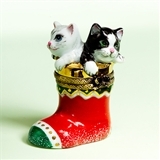 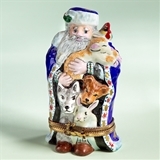 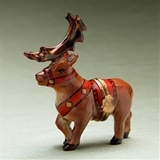 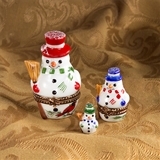 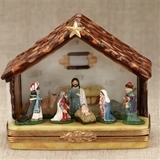 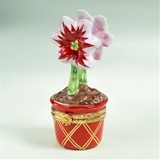 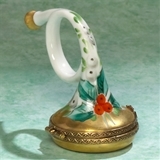 Limoges Christmas Boxes for the New Holiday Season are arriving at The Cottage Shop! 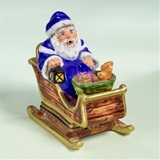 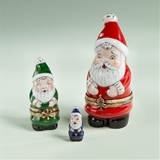 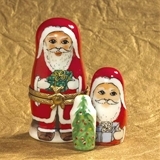 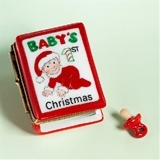 Our exclusive Mr and Mrs Santa Ducks Boxes with Babies will delight kids of all ages as well as lots of Limoges Christmas Santas Boxes and Limoges Snowman Boxes! 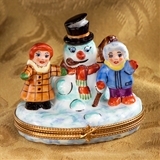 Our Limoges Family on Sled Box, Limoges Snowman Family on Sled Box, Limoges Christmas Dove Heart Perfume Bottle Box, Limoges Chamart Holiday Christmas Egg with Christmas Tree inside Box, Limoges Christmas Tree with Star Box , Limoges Christmas Tree with Teddy Box, Limoges Chamart Young Deer with Holly Box, Limoges Christmas Book Box with Santa , Limoges First Christmas Baby Book Box, Limoges Christmas Tree with Ladybugs Box and many more Limoges Christmas boxes for your collection or to make a great Limoges Box Gift. 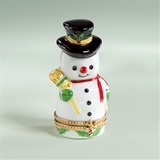 Our exclusive Limoges Christmas Cupcakes will make a superb Limoges gift. 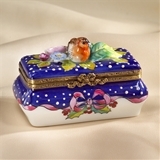 For the bird lovers, please take a look at our Limoges Cardinal Box. 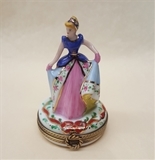 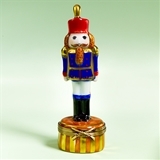 For Limoges Children Christmas Boxes, you will find our Limoges Christmas Carousel Box, our Limoges Christmas Goose with Wreath Box, and our very special little girl: Limoges Christmas Girl with Candycane Box. 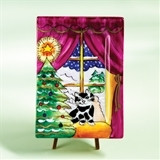 For a different Christmas and Holiday touch: Limoges Christmas Paintings on Easel Boxes, Limoges Christmas Houses with Santas Boxes and our very special exclusive Limoges Christmas Swans by the Lake Box, a memorable gift for your special Limoges Christmas Wedding Anniversary Box. 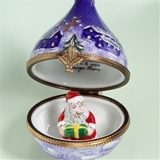 To celebrate Christmas in a more traditional way: our Limoges Christmas Wreath Box with Merry Christmas, Happy Holidays, Buon Natale, Felices Fiestas and Feliz Navidad. 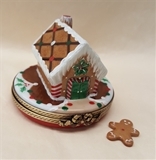 We did not forget the Limoges Gingerbread Lovers: Limoges Gingerbread cookie box, Limoges Gingerbread House Box.